Today we celebrate the country's 119th Independence Day, that momentous occasion when Filipinos gained freedom from centuries of Spanish rule. I must admit that my recollection on Philippine history is hazy at best, but I got a few insights during an impromptu visit to the Aguinaldo Shrine in Kawit, Cavite. 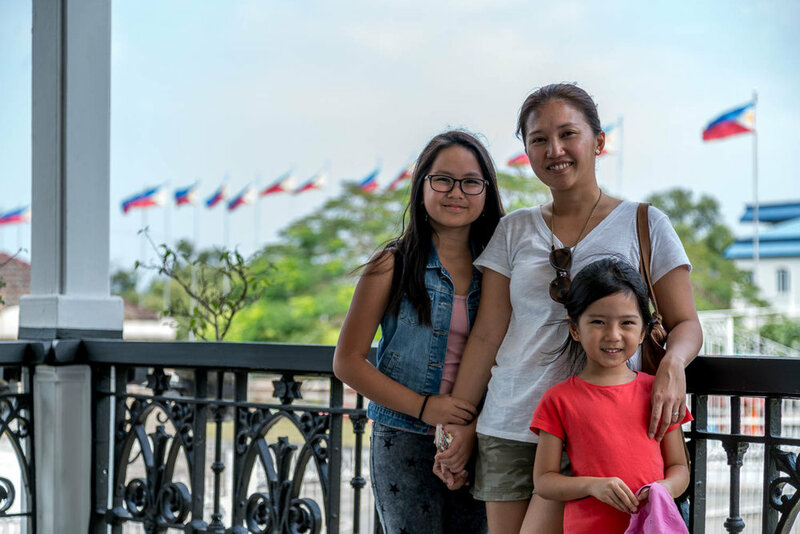 Also known as the National Shrine of the Philippines, Emilio Aguinaldo's ancestral home was where our independence from Spain was proclaimed from the window of the grand hall. Unfortunately, not a lot of people visit this historical place because of their negative impression of Aguinaldo, first president of the new, self-governed Philippine republic. Aguinaldo had several accomplishments under his belt, the most popular of which is leading the revolution against Spain. He also organized the revolution against the Americans which led to a friendship between the US and the Philippines. He also established the Veterans of the Revolution, an organization that arranged the pensions for the men who fought beside him. But on the flip side, he is suspected to have arranged the killing of Gen. Antonio Luna, admitted to having ordered Andres Bonifacio's execution, was allegedly the first Filipino traitor, etc. There's an interesting article here plus I highly recommend the movie Heneral Luna as Bonifacio plays a significant role in this film. Most likely some parts of the film are stretched truths, but it's still based on history. Hero or not, I think the Aguinaldo Shrine is still worth a visit. Aside from it being the venue of the proclamation of Philippine independence back in the 12th of June, 1898, the house itself has a lot of interesting stories thanks to the tour guides. I'm not even going to try to give you readers a detailed account on what you can see inside. Rely on the tour guide to tell you about the secrets of the house, show you the nooks, crannies and and secret passageways, among others. It's best to experience it first hand! Look for the pool inside the house, ok? No entrance or tour guide fees but please give tips and donations. A portion of the marble walls outside Aguinaldo's home. Written on it is the the Act of Proclamation of Independence of the Filipino People in Spanish and English, together with the signatures of prominent cabinet members during that time. The house was strategically built along Camino Real, the town's most important road. Yep, that's a bowling alley -- proof that Aguinaldo comes from a well-off family. Aguinaldo's tomb is found in the middle of the garden at the back of the house. The shade of blue of our Philippine flag was changed to sky blue in 1985 by then Pres. Marcos, then back to navy blue in 1987 by then Pres. Aquino, then to royal blue (current shade) in 1998. Unlike the present day flag, the original flag had a mythological sun with a face, similar to the flag flown by the revolutionary government. Here's another tip -- when your guide makes you stand and pose somewhere unusual and he scoots so low to get his angle, don't ask any questions and just trust him. Ok, I may have exaggerated a little with the above title but when we Googled Cavite cuisine, one of the top dishes mentioned was their paella. And since all Get Lost trips entail good eats, we made it our mission to stuff ourselves silly with different paella dishes for breakfast and lunch. Anyone up for a Paella Valenciana-ish meal at carinderia (local eatery) prices? The town of General Trias in Cavite has created a localized version of this Spanish dish and they call it Arroz ala Valenciana Gentriseño using chicken instead of seafood and atsuete (annato) instead of saffron. 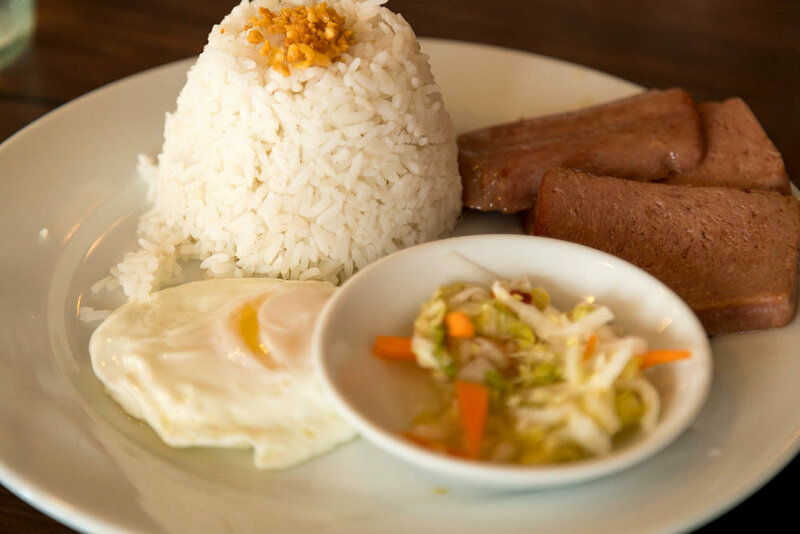 For as low as Php 40 (approximately USD 0.81), you already have a plateful of Valenciana goodness at Jam's Cafe. For lunch we headed to Calle Real to try out their Paella Jambalaya and Paella Negra (among others). Although it's more expensive than Jam's Cafe, the price is still quite affordable at Php 250 (approximately USD 5) per pan which is good for two persons. Calle Real also has a pink cafe at the second floor which serves desserts and photo perfect spots for your little girls who want to have some tea time fun. Perfect for birthday parties! Although Cavite isn't really top of mind when thinking of road trips, we think that this jaunt about an hour or two away from Alabang was quite fun and educational. For sure there are more untapped Cavite finds just waiting for us! Special thanks to Opus Macchina and Mazda Philippines for being part of this road trip!